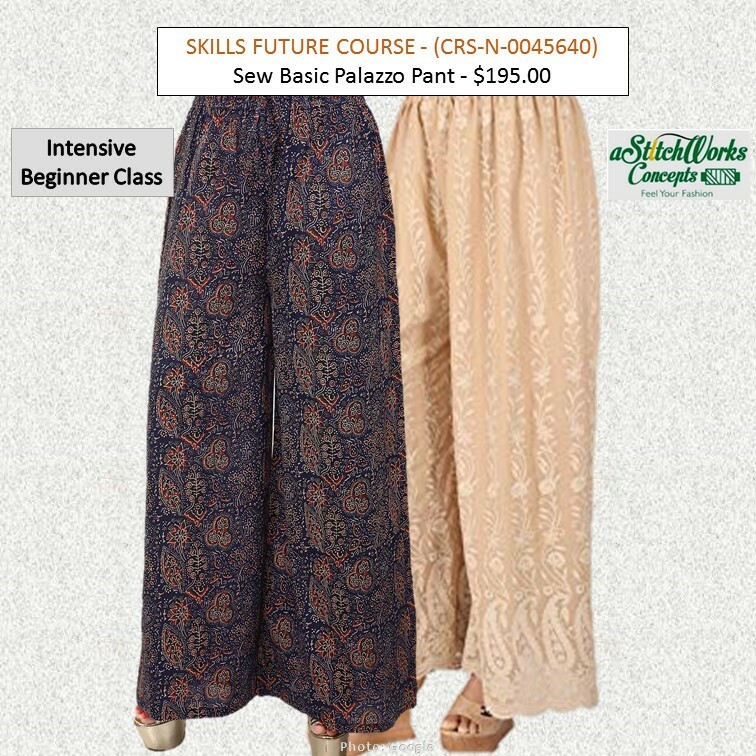 In this class, Learners will be able to understand the appropriate how to take a basic measurement to create your own palazzo pants that will teach and to share knowledge on how to create a basic pattern, cut the fabric and sewing method step by step. Learners will be taught how to attach an elastic band at the waist in appropriate sewing techniques to apply for some stitches. And, this bagging or flared pants with wide flare legs is known as Palazzo pants or trouser (Palazzo of Italian, literally: the castle). This pant trend came in 1970 and is now a regular in fashion anywhere. 3) Please be cooperate and follow the instruction given by our trainer to accomplish in learning to avoid the disruptive issues and time-consuming problems.